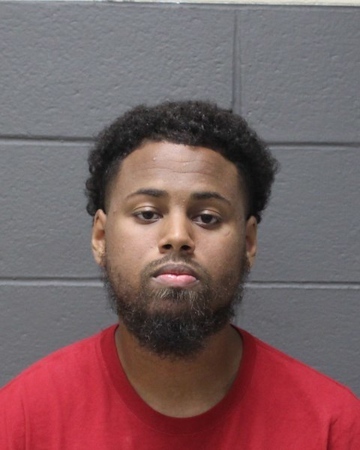 SOUTHINGTON - A Bristol man was arrested Tuesday and charged in an assault that landed two people in the hospital, one of whom suffered a skull fracture and hemorrhaging in his brain. Landin Rutledge, 21, of 16 Union St., Bristol, allegedly punched one of the male victims in a municipal parking lot near 75 Center, a bar on Center Street, knocking him unconscious, and stomped on his head while he was on the ground on Aug. 19 in the early morning hours, according to the arrest warrant. The punch was described as a “roundhouse” to the face. The victim was taken to the intensive care unit at the Hospital of Central Connecticut, in New Britain. He spent five days in the hospital and was diagnosed with a skull fracture and brain hemorrhaging. Doctors told his mother it would be several months before it could be determined if the victim would have any lasting disabilities or permanent injuries. According to police, an acquaintance of Rutledge allegedly struck another man - who was a friend of the first victim - in the side of the head during the altercation, sending him to the hospital, where he needed five stitches to close a laceration above his eye, the warrant said. Police are still trying to identify the acquaintance of Rutledge and could file charges. According to the eight-page document, Rutledge and some of his friends began exchanging words in 75 Center with the two victims and some of their friends. The argument stemmed from an issue involving one of Rutledge’s former girlfriends, the warrant said. The men involved in the exchange were asked to leave the bar, but the altercation continued and became physical in the municipal parking lot. The victims allege Rutledge was the aggressor and that they did not respond with any violence. Rutledge faces charges of first- and second-degree assault - felonies. He was arraigned Wednesday, in Bristol Superior Court, where officials said he has previously used a first-time offender program for a prior arrest and had to pay a fine earlier this year for creating a public disturbance. Rutledge posted $75,000 bond after his hearing. He has been ordered not to contact the victim while the case is pending. The case will be reviewed to determine if it should be prosecuted in New Britain Superior Court, where the most serious matters in the area are heard. Rutledge is due back in Bristol court on Sept. 28. Posted in New Britain Herald, Southington Herald on Wednesday, 12 September 2018 15:43. Updated: Wednesday, 12 September 2018 15:45.